With an unparalleled location just a short walk from Columbus Circle and Central Park, this hotel provides the ideal base for your New York vacation. This Midtown hotel features a modern sensibility, reflecting the vibrance of its surrounds. Comfortable rooms offer plush bedding, free Wi-Fi and ergonomic workstations, and many feature magnificent views of the city. Active travelers can maintain their workout routine in the spacious and well-equipped fitness center. 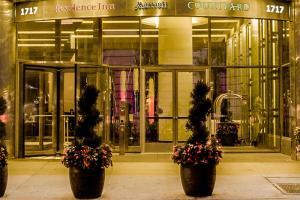 Located walking distance from Carnegie Hall and approximately 6-miles from LaGuardia Airport. Central Park, Carnegie Hall, Central Park Zoo, Columbus Circle, Ed Sullivan Theater, Lincoln Center, American Museum of Natural History and St. Patrick's Cathedral are all less than 2-miles from the hotel.